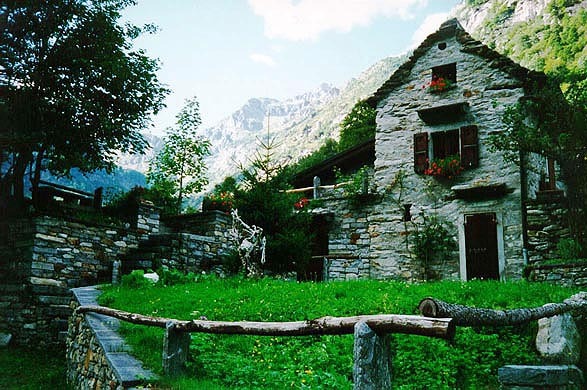 Sonogno is virtually entirely consists of these stone buildings. This style is called 'rustici'. And the rock widely used here as a building material - gneiss is a stratified near-granite.